The FIFA 18 World Cup 2018 Update brings with it a overhauled and tweaked FUT mode. 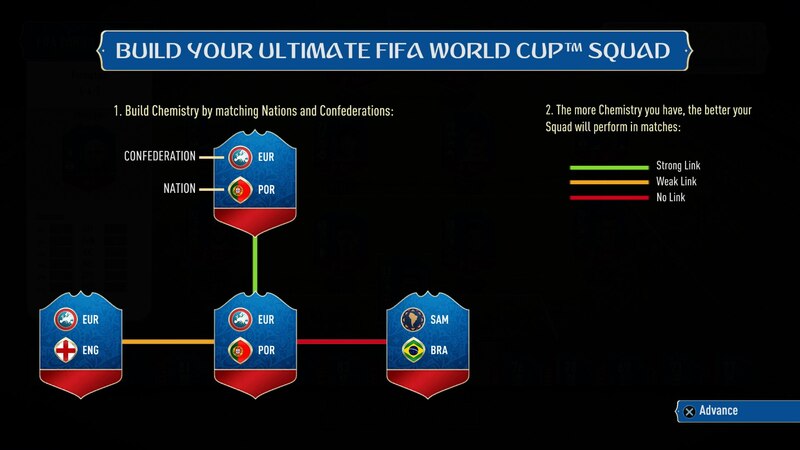 In this guide to FIFA World Cup FUT we'll explain how the new chemistry system works and what modes are included in the FUT World Cup Update. For more info on the FIFA 18 World Cup 2018 Russia update, head over to our FIFA 18 World Cup guide hub. It's got all the details on the game modes included in the update, plus when you can download and play it. We've put together a complete rundown of all the FUT modes in the FIFA 18 World Cup Update. This includes changes to how FUT Chemistry works, new FIFA World Cup Icons, and Dynamic Items. FIFA 18 World Cup Ultimate Team Game Modes that make use of the new tweaked World Cup FUT experience include Single Player and Online Tournaments, Single Player and Online Drafts, and Squad Building Challenges. Due to the international nature of the World Cup, player chemistry in FIFA 18 World Cup Ultimate Team has been tweaked, and works in a slightly different way to how ir did previously. In the World Cup FUT you'll want to link your favorite international players through nationalities and confederations, instead of clubs and leagues. The FIFA World Cup Player roster is made up of up-to-date squads from every qualified nation with refreshed ratings. Dynamic items will be be built to match real world performances in the World Cup, meaning players in FIFA 18 World Cup will always reflect how they've been playing in real life. 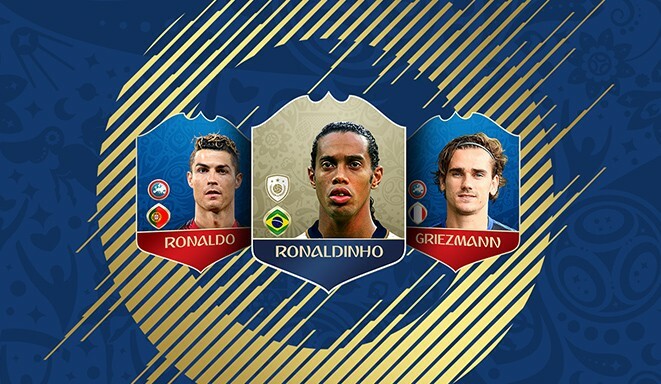 FIFA World Cup Ultimate Team (FUT) is set to include some of the most iconic players from World Cup history, with a new batch of Icons. To celebrate the World Cup, a special Double Pack promotion will be running over the course of the tournament. For every Standard or Premium pack you purchase in FIFA World Cup Ultimate Team, you will receive equivalent pack value in FUT 18. This is a great way to take part in FIFA 18 World Cup Ultimate Team while also building your existing FIFA 18 FUT squad. You can check out the full details on how World Cup 2018 packs work by heading over to our FIFA 18 World Cup 2018 packs Guide. For more general help with the game, head to our FIFA 18 Guide hub. Over there you'll get all the info you need to get better at the game and build the best team in career or Ultimate Team.